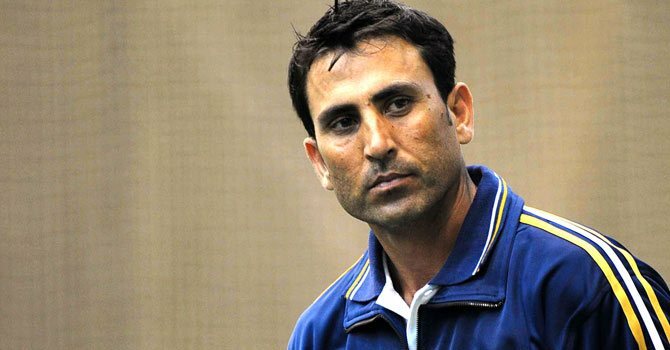 The Pakistan Cricket Board (PCB) on Wednesday accepted Test veteran Younus Khan’s apology and allowed him to return to the ongoing Pakistan Cup. Shaharyar was also quoted in the notification where he explained the board’s decision to accept Younus’ apology. “Younus has served Pakistan cricket for a number of years and he has developed a shining reputation in Pakistan and abroad. While this incident is unfortunate, I am glad to note that Younus has admitted his mistake,” said Shaharyar. The 38-year-old was issued a show-cause notice on Tuesday by the PCB after he withdrew from the tournament following a row with umpires which resulted in a fine this weekend. The 38-year-old former national captain questioned umpiring decisions during his team Khyber Pukhtunkhwa’s (K-P) matches in the Pakistan Cup one-day tournament currently held in Faisalabad. On Saturday match referee Azizur Rehman fined Younis 50 percent of his match fee and summoned him for a disciplinary hearing. But Younus, Pakistan’s highest Test run-getter with 9116 in 104 matches, refused to attend the hearing and withdrew from the tournament in anger. On Monday Younus called PCB chairman Shaharyar Khan and apologised for his behaviour, agreeing to play the remaining matches, a PCB statement said. But the PCB, apparently after strong reaction from former captain Javed Miandad and umpires, stopped Younis from playing in the tournament and issued him a show cause notice. It said the chairman wanted due process to be followed. “For breaching the clauses of his central contract Younis has been served a show cause notice and has been asked to explain his position to the Board within seven days,” the PCB said. Chairman Shaharyar Khan said the decision to issue the notice against a quality player had been difficult. “Younus has been a great servant of Pakistan cricket and a true role model for youngsters. I feel pained making this decision as we have to demonstrate that no one is bigger than the game,” he was quoted as saying in the statement. Younus cancelled his flight for Faisalabad on Tuesday and refused to comment on the notice. Pakistan cricket is marred by players’ discipline problems. Local media said opener Ahmed Shehzad broke glass in the dressing room during the same tournament in Faisalabad on Monday while middle-order batsman Umar Akmal was involved in a brawl with a group of youths after a stage drama. PCB said it was investigating both the incidents. Batsman Miandad blasted the incidents on Monday and blamed the PCB for lenient action. He said indiscipline should not be tolerated at any cost, “no matter how big a player”, as it sets a bad precedent.